While Pixar Animation Studios was creating beloved feature-length films such as Monsters Inc., Ratatouille, and WALLE, it was simultaneously testing animation and storytelling techniques in dozens of memorable short films. Andre and Wally B proved that computer animation was possible; Tin Toy laid the groundwork for what would become Toy Story; and Mike's New Car exposed Pixar's finely tuned funny bone. 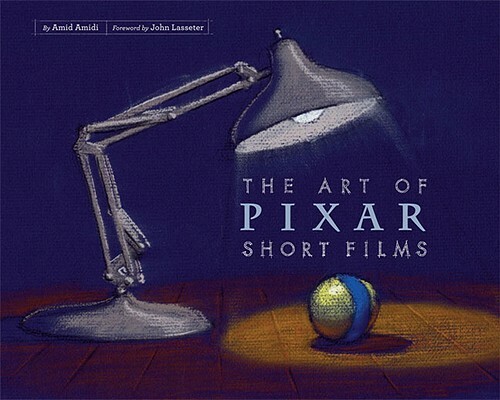 In The Art of Pixar Short Films, animation expert and short film devotee Amid Amidi shines a spotlight on these and many more memorable vignettes from the Pixar archive. Essays andinterviews illuminate more than 250 full-color pastels, pencil sketches, storyboards, and final rendered frames that were the foundation of Pixar's creative process. Amid Amidi is the co-founder of CartoonBrew.com and author of Cartoon Modern. He lives in New York City.